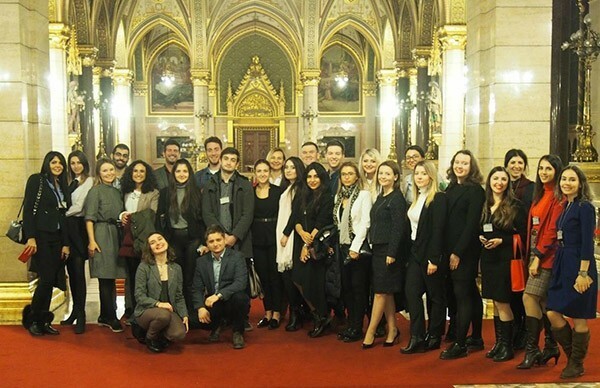 On January 16-20, the third, final phase of the Young Leaders' Program took place in the Hungarian capital of Budapest. More than 20 young people representing political parties of different countries, including the Republican Party of Armenia (Ani Mezhlumyan), participate in the three-day program organized by Robert Schumann Institute. The importance of building a truly civil society, social-economic planning in a sustainable development process, budgeting planning, and inflation-fighting. This time the course was titled "Challenges of Economic and Social Life." Apart from the lectures, the third phase of the project included practical exercises, group exercises, debates and analysis. In the end of the program young leaders received their "political passports", certificates of participation. We should add that the three-week course "Young Leaders 2018-19", organized by Robert Schumann Institute, started several months ago. The first phase of the project was entitled "The Basics of Democracy" and in the second round the participants focused on the issues of the international security.